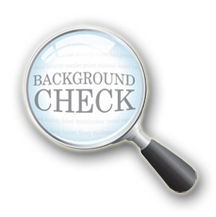 All persons listed on a license application must complete a criminal background check, which can be accomplished online at Licensing Background Checks. A.R.S. § 32-1122 authorizes the Registrar of Contractors (ROC) to check criminal records before issuing or renewing a license. After completing this criminal background check online, the results will automatically be provided to the ROC. How Will a Criminal Record Impact a License Application? For information about how a criminal record will impact a new or renewal license application, please see the ROC’s Substantive Policy Statement 100.